Ready for a party both cute and cuddly, this Bunny 1st Birthday Party by Claire Roy of Claire Krista, out of Langley/ BC/ Canada, is truly lovely! 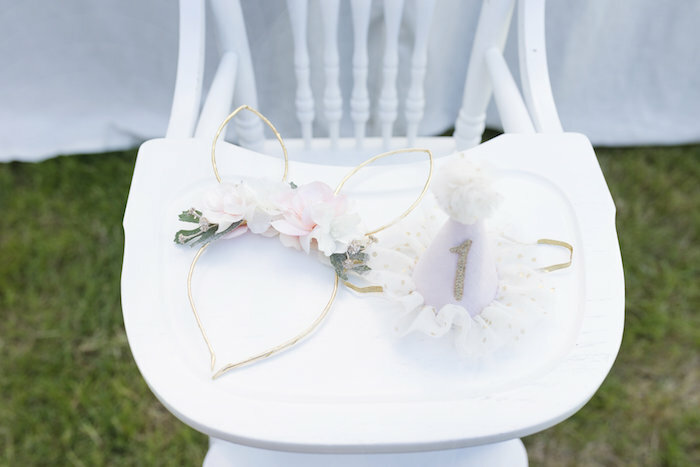 Filled to the top with florals and chic decor, this first birthday party is hopping in the door! 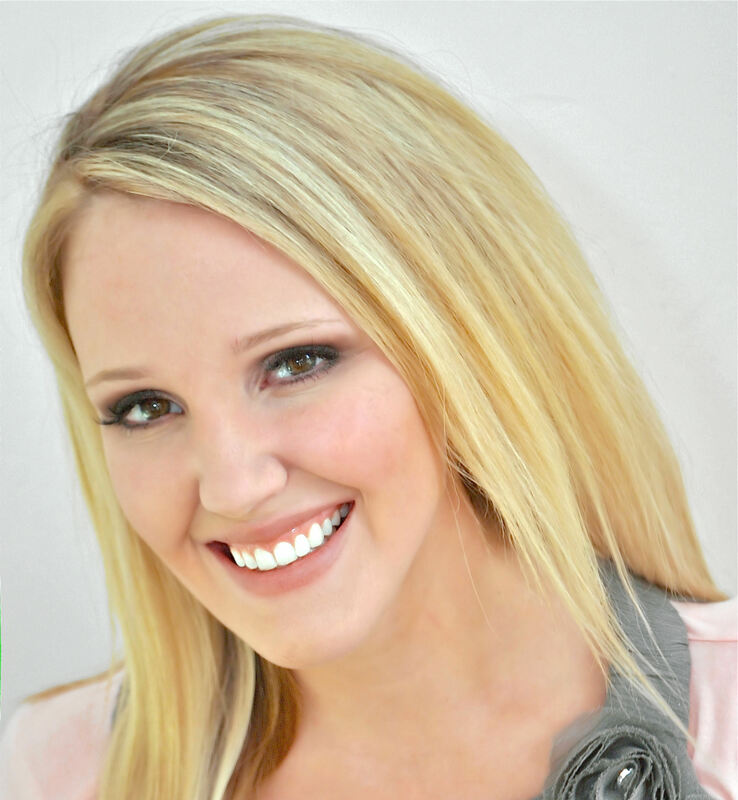 This is what Claire shared about the party- “Im excited to share my daughter Everlys first birthday party! I knew from the moment she fell in love with her Jelly Cats bunny, that A bunny party was a perfect theme. We also are expecting our second child this November. After some serious convincing – my husband agreed to a surprise gender reveal in front of all our family and friends at the party. Of course, we wanted Everly to be a part of how we shared the news! This is the first childrens birthday party I have ever thrown and I knew I wanted it to be just perfect! I have a whole new appreciation for all the Mamas out there that put together these incredible parties. Its a lot of work!! I started planning with an inspiration board on Pinterest. I decided the bunny party would be in our back yard. Since Everly is a June baby, some of my favorites florals were in bloom and the weather would be nice to be outside. 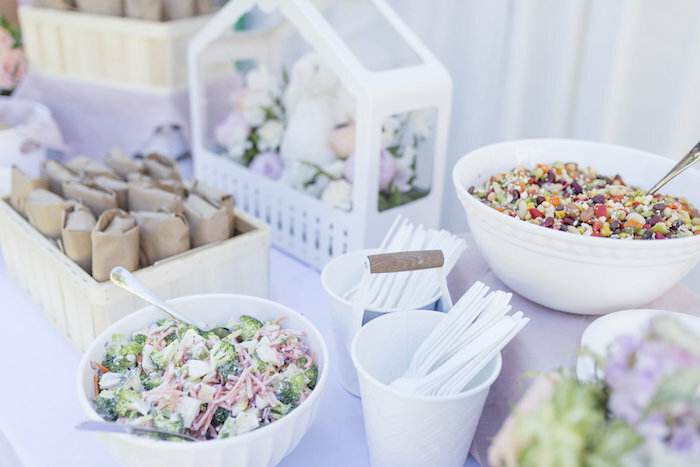 My hope was for a beautiful space filled with soft pretty décor details and a picnic style lunch. 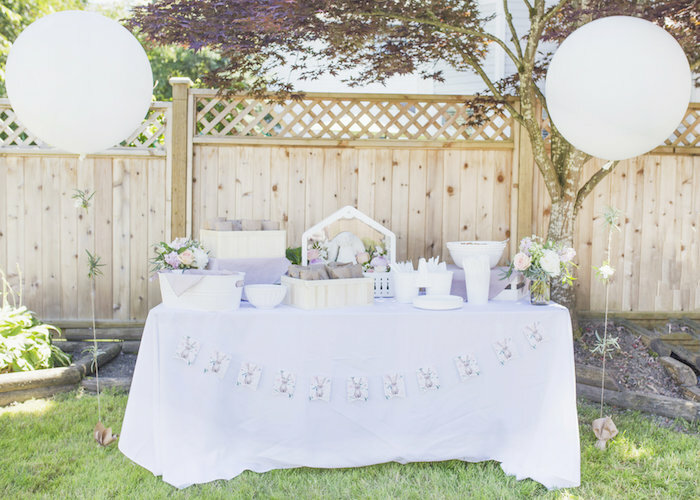 I spent about a month shopping around picking up different décor pieces and items I knew I needed for the party. My goal was not to be last minute with getting everything together. Besides the craziness of the morning of the party, I managed to be pretty prepared!! My husband is the cook in our family. With some helping hands, he put together a wonderful picnic lunch. We served Mediterranean-style sandwiches wrapped in butcher paper and tied with twine to give them that picnic feel. We offered three types of fresh salads. The bean salad was a big hit with everyone! 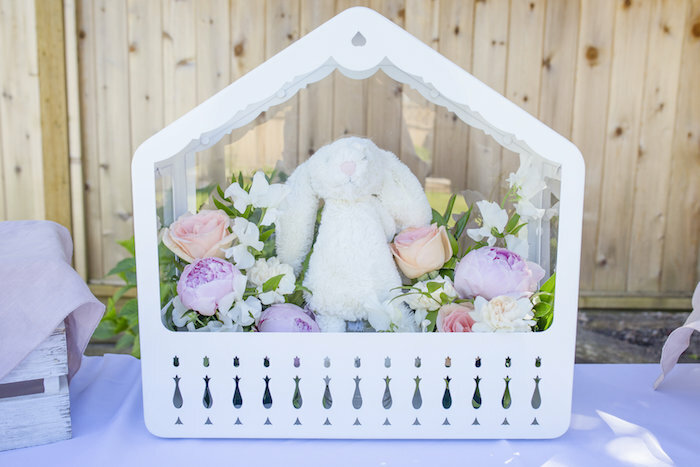 I found a cute little white window flower box at Ikea and filled it with florals and Everlys favorite white Jelly Cats bunny. This was the perfect centerpiece for the food table. 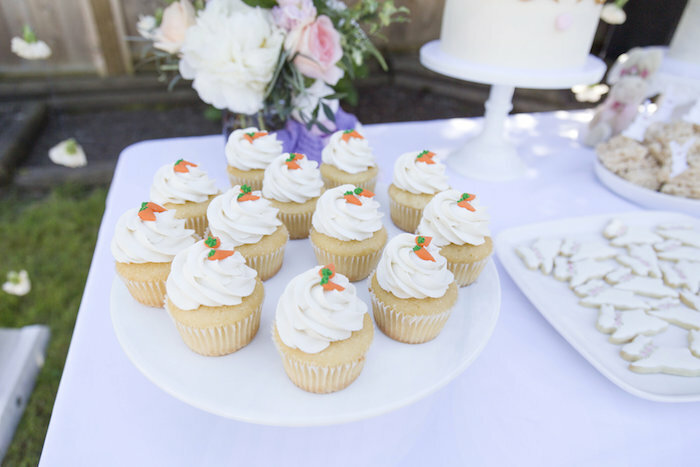 The dessert table featured some of my favorite details of the party! 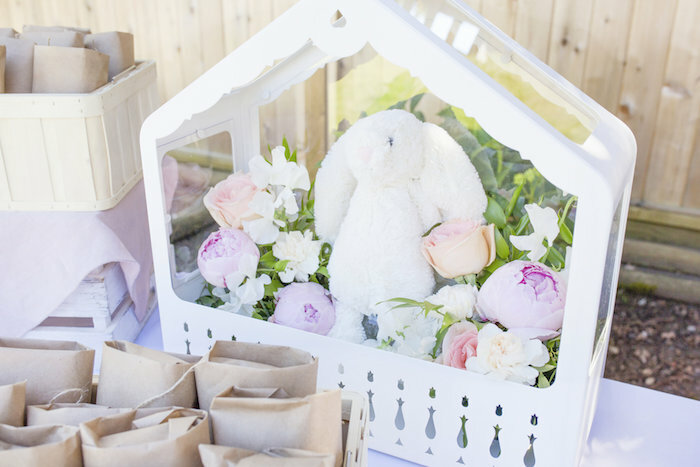 The bunny theme table was filled with goodness! 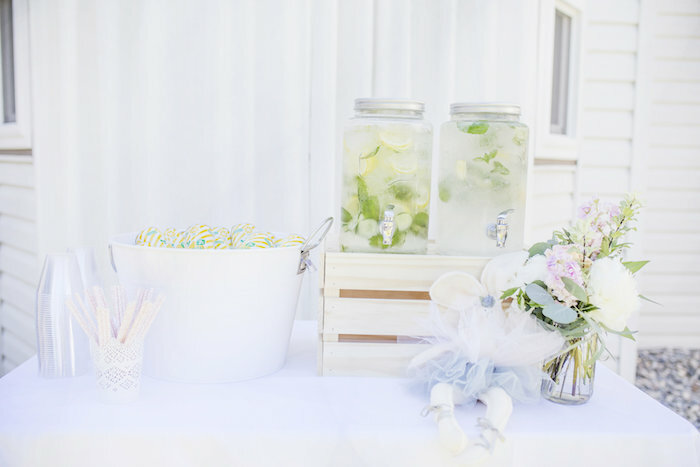 The white arbor was draped soft pink chiffon and lovely hand strung white carnations. 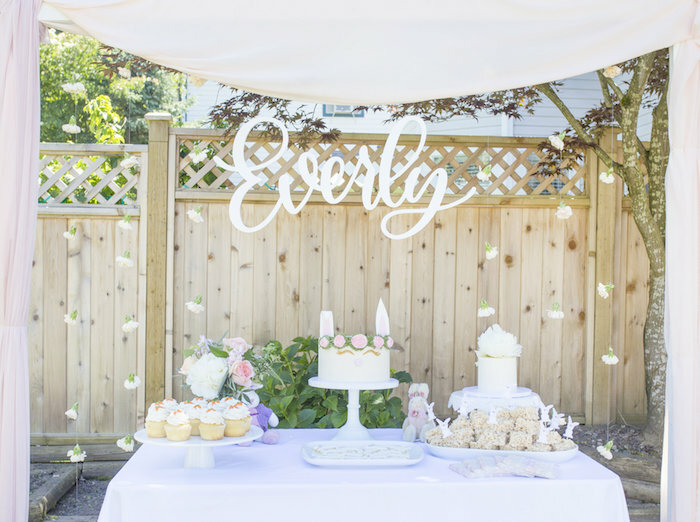 The custom hanging calligraphy sign was such a sweet touch. The bunny theme treats were enjoyed by all our guests. 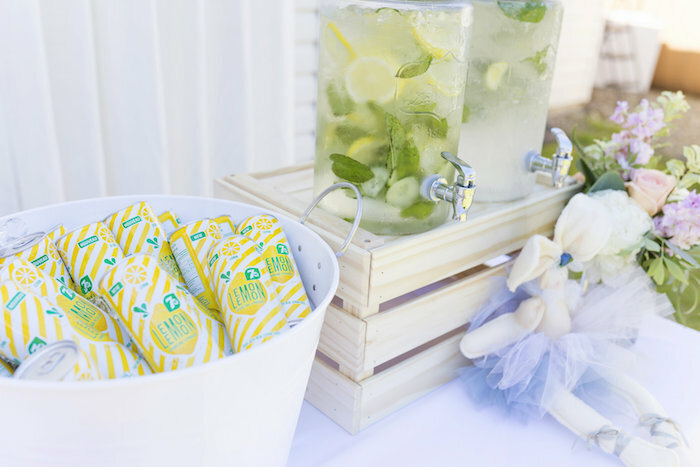 Everything really came together exactly how I had dreamed and was the centre of the partys décor. 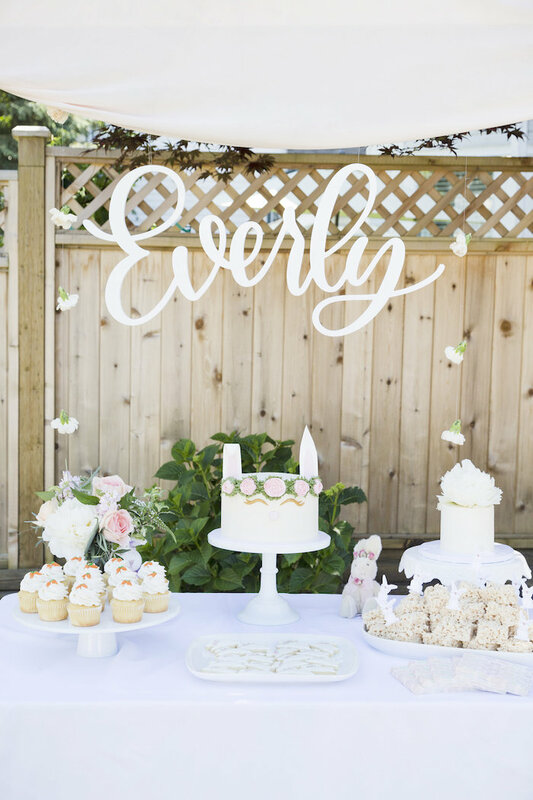 When it came to the gender reveal we decided to have Everlys cake smash be the surprise reveal. We decorated the cake smash area using my antique high chair from when I was a child with simple birthday décor to complement it. 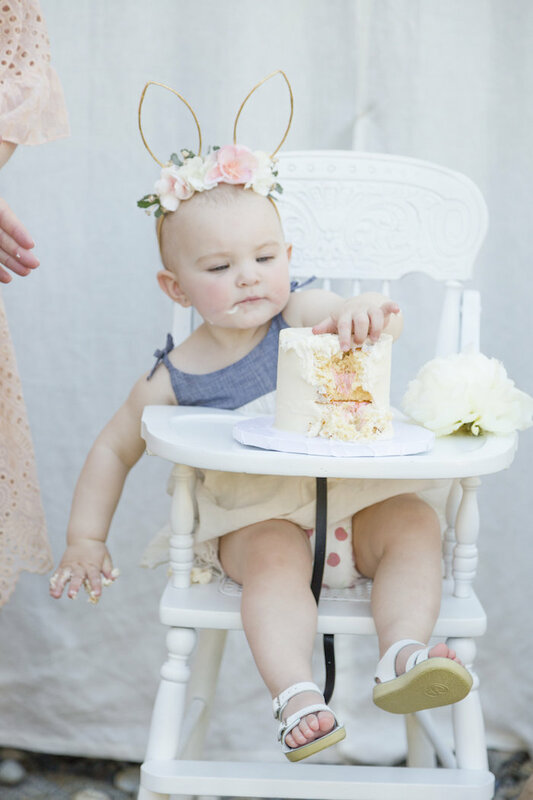 My husband shared with our guests that we were about to find out the gender of the baby as Everly dug into her first birthday cake! It was such a fun idea and our guests share in the excitement. To our surprise, the centre of the cake was pink! It was a memory we will always cherish! 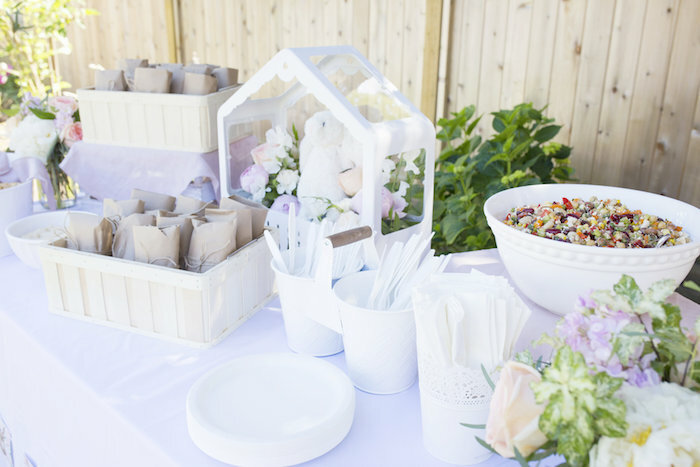 A little pre-planning and help from incredible local businesses like the ones listed below are the true ingredients to a perfect party for this busy Mum”. Hi! I was wondering where you got her outfit from?! It’s so cute!